- A daily email alert with a short summary from Nationals and Regional newspapers. This does not include the physical cutting. A licence is not normally required. - The Email Alerts are automatically updated 24/7. - The alerts provide a summary of the coverage. This includes the publication title, date, headline and a text extract of where the keywords have appeared. 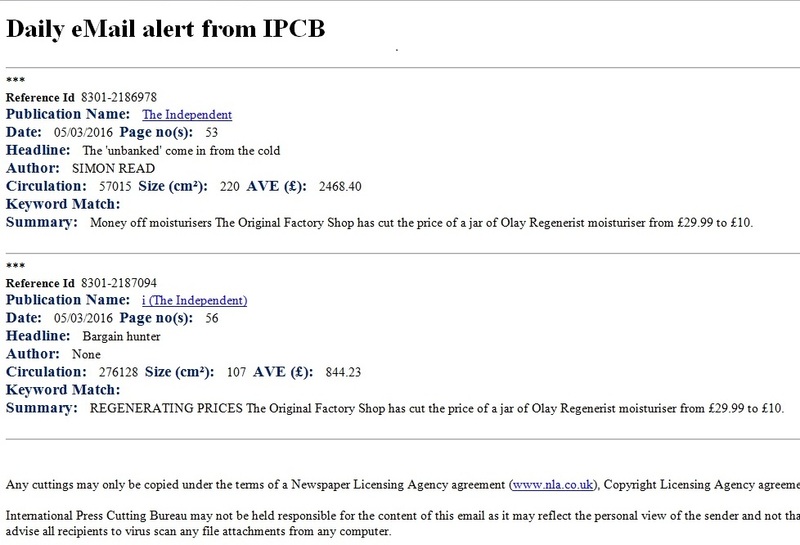 - These alerts can be categorised and subcategorised for easier viewing and generating analytical reports. - They can also be categorised via the online portal. - Each new keyword will automatically update the alerts. - Multiple alerts can be sent to various email addresses. - Alerts can be sent at any time throughout the day according to what is most suitable for your needs.